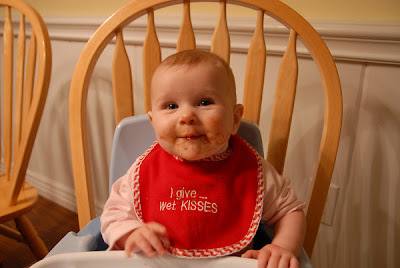 Abigail started solid foods on Christmas. She does not like rice cereal or bananas. 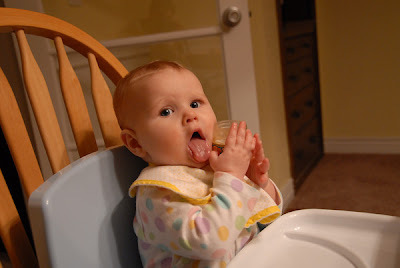 However, she does enjoy prunes, pears, apricots and apples. 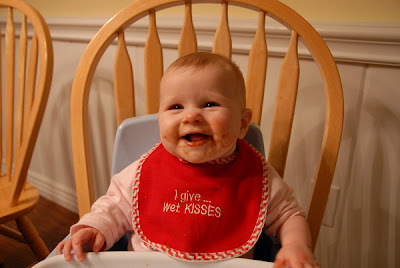 Unfortunately, eating solids has gotten her pretty stopped up, so we'll be sticking with prunes and pears for a bit. She is fun to watch eat as she experiments with this new experience.